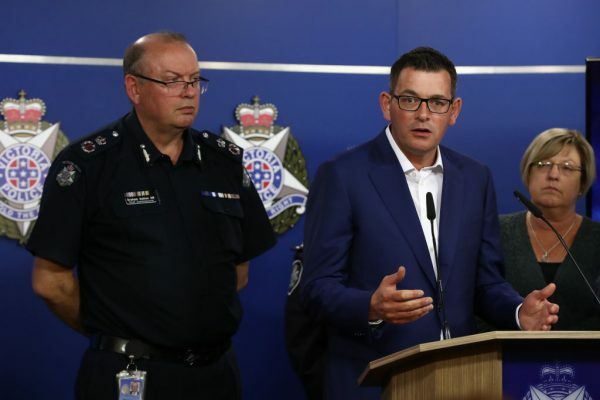 An attacker who stabbed a man to death in Melbourne, Australia, has died after being shot by police in what authorities are calling a terrorist attack. Police have identified the attacker as 31-year-old Mohamed Khalid. Born in Somali and from Melbourne’s northwestern suburbs. 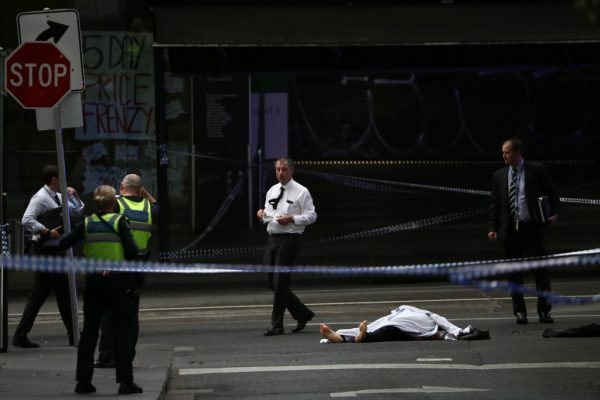 The knifeman was shot as he tried to stab two officers on a central Melbourne street after he had stabbed three people on Friday, Nov. 9, according to Australia’s Perth Now. He died at Royal Melbourne Hospital on the same night. Police initially responded to reports of a vehicle on fire. Victorian police chief commissioner Graham Ashton said Khalif was known to counter-terrorism authorities, at both national and state levels. 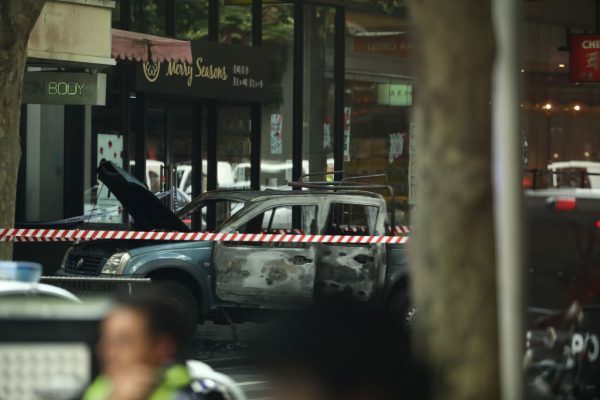 Ashton told a press conference that the the suspect drove a pickup truck to a location on a busy Melbourne street and set the vehicle on fire. Khalif wasn’t confirmed as the attacker at the time. “He got out of the vehicle, engaged with some members of the public at that location. Almost within a minute, Victorian Police officers were in attendance in an unmarked vehicle,” Ashton said. The attacker had “barbecue-style gas cylinders” inside the car and set it alight, according to The Guardian. “We are treating this as a terrorism incident,” Ashton said, and added that the attacker’s identity is not being released due to the ongoing investigation. The police chief said the suspect came to Australia from Somalia in the 1990s and was known to police. He had a minor offending history of drug, theft, and driving offenses, according to the report. “Three people have been stabbed. Unfortunately, one is deceased at the scene, two other victims are currently in hospital,” police Superintendent David Clayton told reporters at the scene, according to Perth Now. One witness said the man was stabbed in the face and desperate efforts were made to save him. “Because he was on his stomach, they turned him over to see if he’s alright, he was still alive,” nearby KFC worker Markel Villasin told AAP. “[Officers] were confronted by a male brandishing a knife and threatening them,” Clayton said. Villasin said bystanders were screaming at police to shoot the knifeman. “They were around him trying to take the knife out of his hand—I’m pretty sure it was a kitchen knife,” he said, according to Perth Now. “The attack is being treated as a terrorism incident,” Morrison said. Victorian premier Daniel Andrews’ office sent out a statement following his press conference. “Today, an act of terror struck the heart of our city, in a place where past wounds have still not healed,” the statement reads, according to The Guardian. “To all of our first responders, we extend our utmost gratitude. And to the victims and their loved ones, we offer our prayers, support, and deepest sympathies.